The new APX vaporizer from Pulsar is one of the most compact, ultra-lightweight advanced portable vaporizers in existence today. Measuring just 4" in length, the APX fits comfortably in the palm of your hand as well as your pocket, allowing you to discreetly vape your favorite herbs and wax concentrates on-the-go. 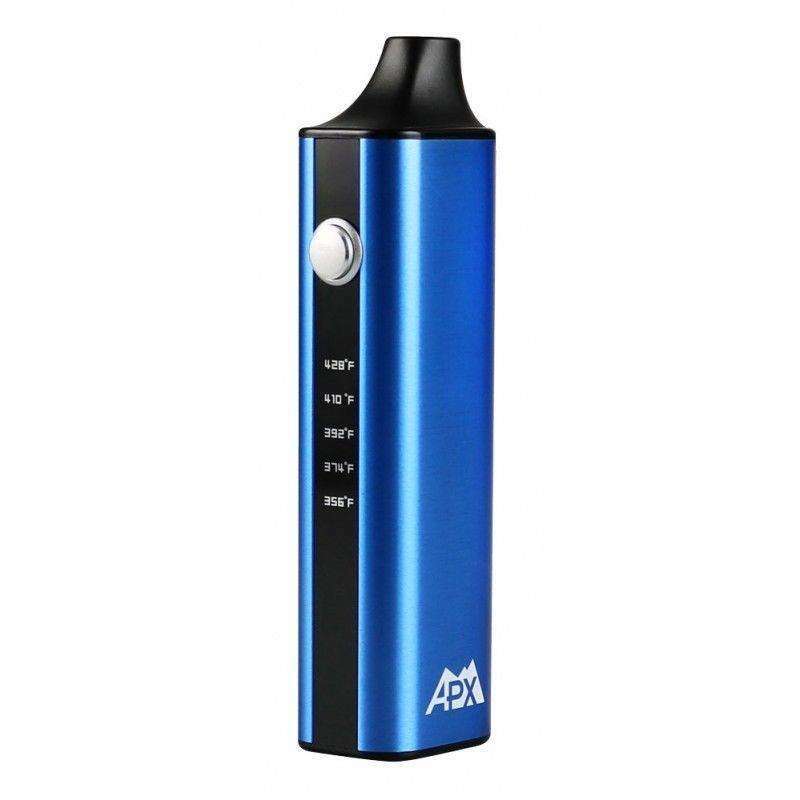 Representing a new breed of affordable portable vaporizers that actually perform and function as well as units twice the price, the APX vaporizer has quickly become one of the most popular and best-selling portable units in its class. For the price, there's no better investment than the Pulsar APX vaporizer. Boasting five preset heat settings ranging from 356°- 428°F, the APX has the ability to reach your desired temperature in just 40 seconds! LED lights indicate heat setting as well as battery level. A high-quality ceramic herb chamber ensures a true vaporization experience free of combustion. Additionally, the APX gives you the option to vape wax concentrates by simply loading the included wax tank, which then easily inserts directly into the ceramic chamber. If portability, versatility and affordability are at the top of your list, then the APX from Pulsar is the vape for you. For anyone new to vaporization, picking the right portable device can be a very difficult process. Trying to find a great unit for under £100 can be even trickier. That's why Pulsar created the APX with newbies in mind - to ensure that beginners can get an awesome introductory unit at half the price of other entry-level vapes. There's no other portable vaporizer in its class that can match the APX's performance, portability or overall versatility. Vape newcomers and novices no longer have to sacrifice functionality for affordability, as the APX embodies all of the advanced features of top-shelf units at a price that simply can't be beaten.